​The Jersey Mac apple is crisp, juicy and sweet/tart. It is good for fresh eating, pies and applesauce. Paula Red apples are not too sweet and not too tart. It's one of our earliest varieties and the first taste of fall for many apple lovers. Can't wait for your favorite apples in the early fall? This apple has a mild flavor with a tart finish. The early ripening Ginger Gold will satisfy your need for a great snacking apple. An early season apple that’s juicy, with a light and crisp texture. Like the name says, there’s zesty flavor and crunch when you bite into one. 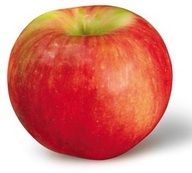 Sansa apples are often compared to the gala variety for their similar appearance and flavor. Sansas are medium-large with red striped skin overlaid on a yellow background, and yellow flesh. The flavor is sweet and has some tartness to it. Gala apples have a mild and sweet flavor, making them one of America's favorite apples for eating fresh. Gala's mild flavor is what "picky eaters" prefer and a striking bright yellow-red color that attracts the eye! The Blondee apple is very similar the Gala variety and comes in around the same time. It is great for eating fresh off the tree and it has a smooth finish and crunchy texture. Imagine a fragrant fresh fruit cup with beautiful snow white apples. 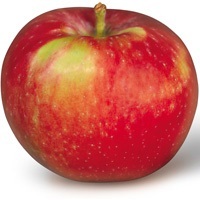 This sweet all purpose apple was developed at the New York State Agricultural Experiment Station in Geneva in 1898. Best Uses: Eating, Salads, Sauce and Baking. Good for freezing! Nothing evokes Fall better than the aromatic fragrance of McIntosh apples. McIntosh apples are one of the most popular apples in the North East because of their crisp texture and tart flavor. Sometimes the name of an apple says it all. Honeycrisp apples are honey sweet (with a touch of tart) and amazingly crisp. Macoun apples are red with a slightly purplish flush. They have a sweet taste with a hint of berry flavor. Macoun was developed at the New York State Agricultural Experiment Station in Geneva in 1932. Same Fuji flavor, sooner! The September Wonder is super sweet, super juicy and super crisp! Empire apples are a sweet, firm and crunchy apple that doesn't bruise easily making them an ideal "lunchbox apple." The New York State Agricultural Experiment Station in Geneva introduced this new variety in 1966. Bite into a Crispin for a great crunch and mouthful of sweet juice. It's one of the most satisfying snacks around! The original name for this apple was Mutsu, reflecting its Japanese heritage. It was renamed Crispin in the late 1960s and has been gaining fans ever since. Best Uses: Eating, Salads, Sauce and Baking. Great for Freezing! A crossbreed of the Golden Delicious and tart Jonation, Jonagolds have a mixture of gold and red skin. Their juicy sweet and sour taste is make them a great all purpose apple. Jonagold is another success story from the New York State Agricultural Experiment Station in Geneva. Golden Delicious apples are large, sweet and mild apple that are easily recognizable by their beautiful yellow skin. 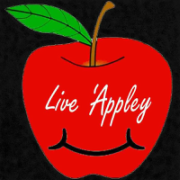 Related to the Red Delicious by name only, this honey sweet apple is a special treat all on its own. Idareds is a tart and juicy variety that hold their shape perfectly and look beautiful. Developed in Idaho, it's a cross between two old time NY apples, Jonathan and Wagener, first raised in Penn Yan in 1791. 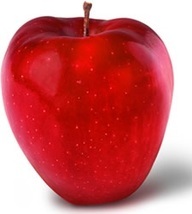 Red Delicious are a popular mildly sweet apple known for its beautiful dark red skin. Our Red Delicious have the slight tartness so characteristic of apples from New York. The 'Northern Spy' apple, also called 'Spy' and 'King', is a cultivar of domesticated apple that originated in East Bloomfield, New York in about 1800. It is popular in upstate New York.